She incorporates Integrity in everything she does. Marilee guides and supports individuals to transform and heal their lives, understand their soul purpose and discover the truth of who they are, using Ancient Wisdom for NOW! Each private energy session is a ceremony designed specifically for each individual to meet their personal needs, expectations, intentions, lifestyle and budget. These sessions are a dance of co-creative healing and can take place either in person or long distance. 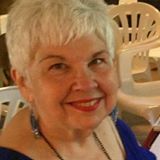 Marilee incorporates a variety of ancient techniques in her work with individuals, and specialises in accessing the Akashic Records for herself and Readings for other Beings; Reiki, including Usui, Celtic, Atlantean with Crystals, Dragon, Tibetan; Soul Retrieval and Soul Restoration. These Quantum Biofeedback and Young Living Essential Oils bring the experience of Wellness, Purpose and Abundance among other benefits. All can be done Long Distance to reduce your stress levels, except the application of the Essential Oils. With a life mission of Service to the Light - Empowering Individuals to Empower Themselves, Marilee returned from the “other side” to Empower You; to Love You and Accept You as you are! After her “Death Experience” in 1972 Marilee studied Ancient Healing Techniques and Wisdom and founded Sage Spirit Terra in 1996 after becoming a Reiki Master/Teacher in 1995. Marilee became an Akashic Records International Consultant in 1998 and continues to use this Sacred Prayer Method. She wrote her book Ancient Wisdom for Now - Crystals and the 13 Crystal Skulls with the help and guidance of her Akashic Records. The Akashic Records are a Vibrational Record of Your Soul or Book of Life. You will Receive Your Personal Prayer for Accessing Your Akashic Records in Alignment with Your Vibration and Frequencies when you work with Marilee. Marilee also leads Ceremonial Journey Drum Circles; performs Soul Retrieval and assists the Dying. Marilee is an internationally renowned published author of “Ancient Wisdom for NOW – Crystals and The 13 Crystal Skulls” and “Ancient Wisdom for Now – Book II Read Your Akaskic Records – She has also been published in the Amazon bestseller “Pebbles in the Pond – Transforming the World One Person at a Time”.